Jaguar Troy is proud to offer rotating specials on Jaguar parts and accessories that you can use to customize or maintain your favorite Jaguar vehicle to your liking and needs. Our parts specials offer Jaguar drivers from Troy and beyond the chance to save money on the top-quality jaguar parts and accessories their vehicle needs to continue performing up to your very high standards for a Jaguar vehicle. Our Jaguar certified authentic parts offer premium performance capabilities, and reliable use covered under warranty when you purchase your Jaguar certified parts from a certified Jaguar parts center like Jaguar Troy. Our drivers will enjoy spending less of their hard-earned money on Jaguar parts and accessories when they shop Jaguar Troy's parts specials! Jaguar Troy is in the business of helping their valued customers get the most out of their Jaguar vehicles. Jaguar vehicles offer state of the art performance and luxurious features, and we want to see our drivers enjoying a vehicle that is as well-maintained and reliable as it was the day they first drive it home from Jaguar Troy. Our rotating specials on Jaguar parts and accessories allow us to continue meeting the needs of Jaguar drivers with timely specials on parts like wipers, tires, and electrical system components that will keep their vehicle running smoothly. You can always contact us or visit us at Jaguar Troy to find out the latest parts and accessory specials that we are offering. 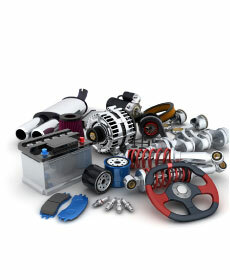 We hope to see you taking advantage of our parts specials soon at Jaguar Troy. Our team looks forward to the chance to amaze you with our incredible customer service, and genuine Jaguar parts and accessory selection. We'll see you soon at Jaguar Troy!